Recently going on sale with a Manufacturer’s Suggested Retail Price (MSRP) of $37,505 the 2014 Honda Ridgeline Special Edition Model (SE) is a truck, but one that offers the comfort and ease of an everyday passenger vehicle. The Honda Ridgeline has not changed that much from when it made its debut in 2006, but recently it has gained nice updates. Some of the changes to the 2014 Ridgeline are primarily eye candy and were done to the interior. These changes include seats outlined smoothly in black and badging that states Special Edition on the trucks rear tailgate area. 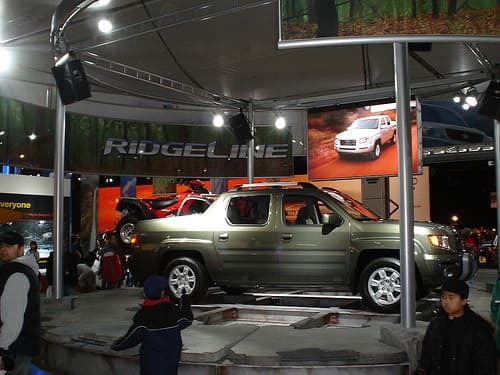 What is unusual about the Ridgeline is that it runs like a simple passenger vehicle to drive every day, due to its sole suspensions in the front and back. However this vehicle still handles like a sturdy and efficient pickup truck and can accomplish your truck tasks. 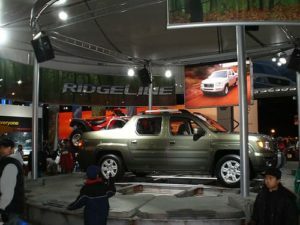 The Ridgeline bed has a potential to hold up to 1,100 pounds and tow about 5,000 pounds, so it can handle many jobs. What is put into this truck for super power is a 3.5 liter, a 250 horsepower V6 engine with a unique valve method. This is used to improve a torque which is produced at a low-rpm that makes possible a secure and easy to handle durable truck to tow big weights. While the Special Edition model is more expensive than the standard Ridgeline, you do get some nice goodies such as air conditioning, side airbags, rear seats which fold and also split and keyless entry due to radio frequencies. More treats that you will find are distinguishing 18 inch alloy wheels and black shaded trimming on the back tailgate area. The SE also provides a Bluetooth and XM satellite radio to listen with voice recognition. Your available color choice is Taffeta White, Crystal Black and Alabaster Silver. Some extras of which you can choose for new SE are a powered moon roof, a system that automatically checks the tire pressure, side mirrors with auto heat capability, in addition to seats and carpeted floor mats that automatically heat up at the touch of a button. The 2014 Ridgeline has been given a rating that is high regarding safety features by the Insurance Institute for Highway Safety (IIHS). It has also been rated at 15 miles per gallon in city driving and 21 for its highway usage by the Environmental Protection Agency.